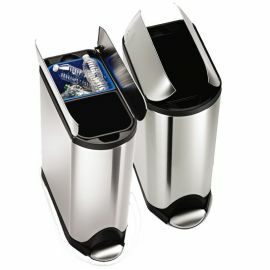 The beautifully styled recycling bin from Simplehuman will bring a touch of class and elegance to any kitchen. This slimline CW2017 has a 'butterfly lid' which open from the centre which means that it can fit under most worktops and can fit up against the wall without the lid banging. The narrow footprint will fit tight spaces providing a fantastic space saving design. The two 20 litre inner buckets make it easy to sort your waste and recycling in the kitchen before taking it outside to your bins. The flaps of the soft close lid open and close smoothly and almost silently, and the extra strong steel pedal is engineered for years of use. 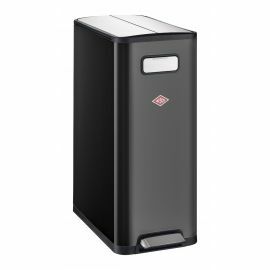 Made of strong stainless steel, the bins looks smart and timeless and the fingerprint-proof coating helps it stay that way for longer. 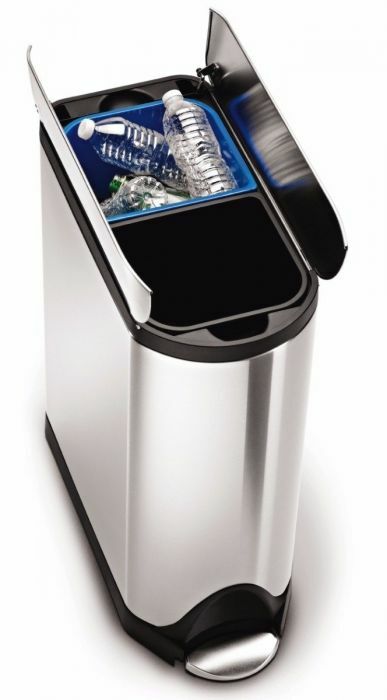 Some of our customers have co-ordinated this bin with a matching single compartment 45L Simplehuman Butterfly bin (CW1897) or have used two CW2017 bins to create an elegant solution to providing a 3 or 4 way recycling system. 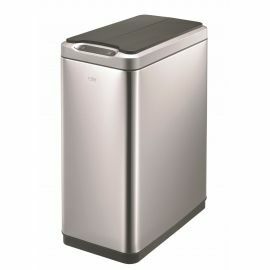 Our Simplehuman D Liners (CW0254) are designed as a perfect fit this bin. Inner buckets in durable black and blue plastic: easy to clean.